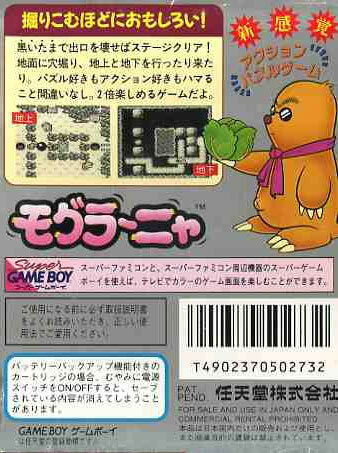 Miyamoto magic at hand here yet somewhat slipped off the radar due to a certain yellow monster that radiated strange rays from its eyes. 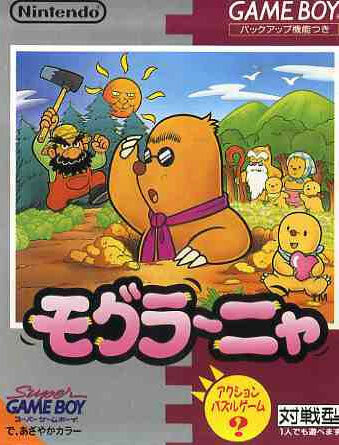 The bespectacled mole is out to rescue his poor folk kidnapped by the tough, gruff farmer. Levels are puzzle is style and players seek out a way to dispatch the bomb to move onto the next challenge. Bosses a plenty, but it's the ability to dig that help players get out of a tight spot and takes the game onto a different level. Its Japanese name is Mogura Nya.